Turkey's largest photography event, the Fotoİstanbul Beşiktaş International Photography Festival will open its doors to art lovers on Oct. 1 for the third time in its history. The festival will bring 60 artists from different parts of the world together and will continue until Oct. 30. This year, video display nights will also be featured at the festival along with 60 exhibitions, 12 panel and roundtable discussions, six meetings with expert guest speakers, more than 250 portfolio assessments and autograph sessions. The venues where the festival will take place are the MKM Cultural Center, O'Art Gallery, the Ortaköy Orphanage, the Ortaköy Cultural Center and the District Governorship Building of Çırağan. 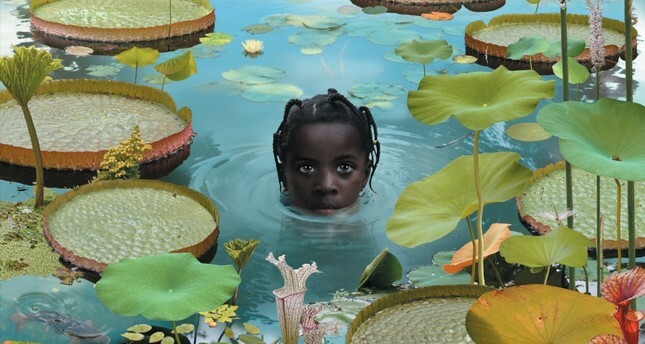 Fotoİstanbul 2016 will host the works of 35 well-known foreign photographers, including one of the most important living photographers in the world, Sandro Miller, and other world famous artists, including Ruud van Empel, Antonie D'agata, Christer Strömhölm, Nick Brandt, Daesung Lee, Mandy Barker, Josef Hoflehner, Kai Widenhofer, Henrik Spohler, James Mollison, Shadi Ghadirian, Tomasz Lazar, Marcus Lyon, Jean Fransuva Lepage and Park Seung Hoon. The festival will also host 20 Turkish photograph artists, including Yıldız Moran, Maryam Şahinyan, Gül Ilgaz, Sinan Tuncay, Ahmet Öner Gezgin, Ergun Turan, Bennu Gerede, Barbaros Kayan, Aydın Büyüktaş, Tayfun Öztürk, Seçkin Yılmaz and H-art Kollektif. Gaining an important place in the photography world with its growing success over a short period of time, Fotoİstanbul has invited Hungary to be the guest of honor this year and will hold events specific to that country's photography. Numerous world-famous names in photography grew up in Hungary including Andre Kertesz, Brassai, Robert Capa and Laszlo Moholy-Nagy. In addition, Fotoİstanbul will host the winning photographs of The Robert Capa Grand Prize recipients, an annual tradition. The works of the winner of the International Andrei Stenin Contest will also meet art lovers in Fotoİstanbul. Arles Voies Off and Tbilisi Photography Festivals will be the other highlights enriching Fotoİstanbul 2016. Fotoİstanbul is bringing a new perspective to its relation with the art world in cooperation with photography galleries in Istanbul. The Empire Project, Gama, Art Galerim, Fotoğraf Evi, O'Art Galeri, Mixer and İFG will enrich the festival with their exhibitions. There will be also an Instagram photography contest this year with the sponsorship of the Everyday Projects and Canon. Those who will be short-listed among thousands of candidates from around the world will be awarded by Canon Turkey. Also, the works of the first 50 names in the contest will be on exhibit during the festival. Art Director Attila Durak heads the festival this year along with Executive Director is Rıza Erdeğirmenci while Ersin İleri will be communication coordinator, Çoşar Kulaksız will be festival consultant, Ebru Uluğkay and Noyan Sungur will be project managers. Curators will include Hüseyin Yılmaz, Katharina Mouratidi, Seok Jae-hyun, Christophe Laloi, Oscar Durand, Elie Gardner, Istvan Viragvölgyi. More information on the festival is available on www.fotoistanbul.org.